[New for 2017] After devouring today's item as fuel for another blah commute, I had a thought as I was driving. When was the last time Haagen-Dazs disappointed you? I don't mean "oh man, I shouldn't have eaten so much ice cream" disappointment, I mean "that was terrible" type disappointment. It's rare and I think that says a lot about H-D.
Nonspecific leopard print wrapper has been removed. I mentioned that I already devoured this and you may have also got the implication that this bar is good, but it's not good... it's great! HA! I loved it, I really did. 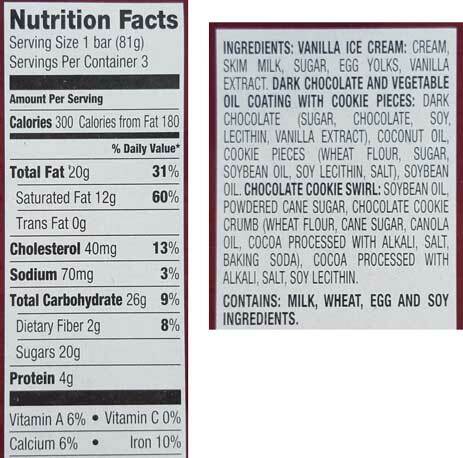 This is everything I wanted the Magnum cookie bar to be. So good. 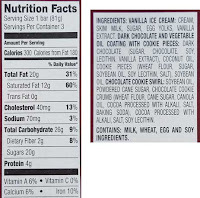 There are two big swirls of chocolate cookie crumbles in the ice cream and they leave a great cookie aftertaste with every bite. The overall flavor is what you want, distinct but not overpowering in anyway. Spot on. The waffle bits add great texture without taking away any of the cookie flavoring. They are there to add just the right amount of crunch to every bite. Not too hard, not too soft, just right on the mark. Why do I keep saying my sentences like this? Because this is one of those bars dialed in perfectly on every level. At no point did I go "I wish it had more..." because you don't mess with something when it's dialed in like this. You know I love anything and everything cookies & cream and this was a great way to present C&C without being C&C. Just buy a box and you'll get what I mean. On Second Scoop: Mmmmm, just as good the second time. I actually wound up getting a bite of just cookie swirl and it's good, but it's kind of (salty?) so I don't recommend doing that on purpose. Eat it as intended and you should be all good. Nice job H-D. I have to try this! 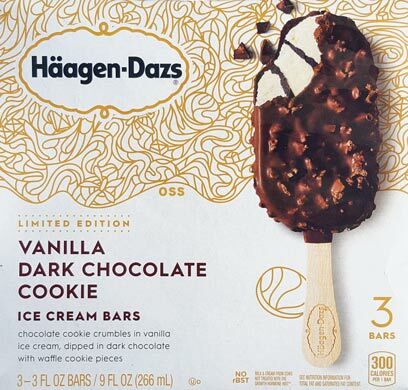 I'm not usually a fan of dark chocolate, but I think it would be good combined with the vanilla ice cream. I agree, I can't think of the last time that Haagen Dazs let me down in any way. Bars are fantastic! The coconut was my favorite, but I loved this one, too.